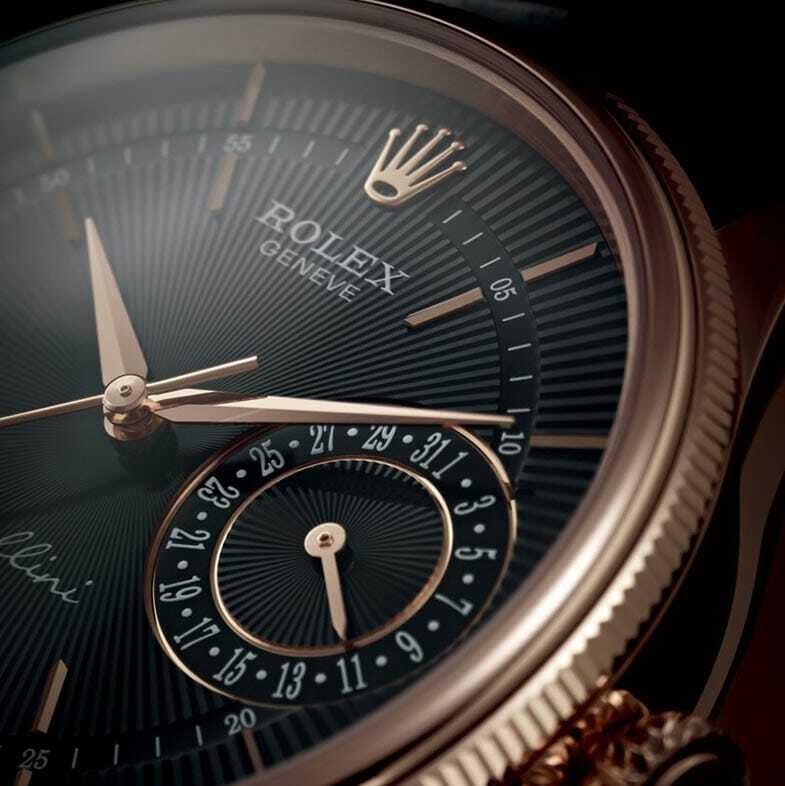 Today, every single watch in Rolex’s catalogue contains a chronometer-certified, in-house movement. Even modern Cellini watches are certified chronometers; however their dials do not include the accompanying, “Superlative Chronometer Officially Certified” text that makes an appearance on the rest of Rolex’s other watches. In addition to the industry standard, COSC testing, Rolex watches also undergo Rolex’s own and more stringent, “Superlative Chronometer” testing, which guarantees timekeeping to +/-2 seconds per day, after casing. Despite the recent shift towards the widespread use of chronometer certified movements and additional, more stringent certifications, some of the most cherished and longest running references from Rolex’s history did not contain chronometer certified movements. Many of the Rolex’s early sports watches, which are now considered ultra rare and collectable today, were not certified chronometers, including most vintage Daytona chronographs and the vast majority of early, pre-crown-guard Submariners. However, a couple Rolex watches, most notably the no-date Submariner and the Air-King held onto their non-COSC certified movements well into the modern era. The reference 5513 Submariner was introduced in 1962 as a more affordable alternative to the chronometer-certified, reference 5512. 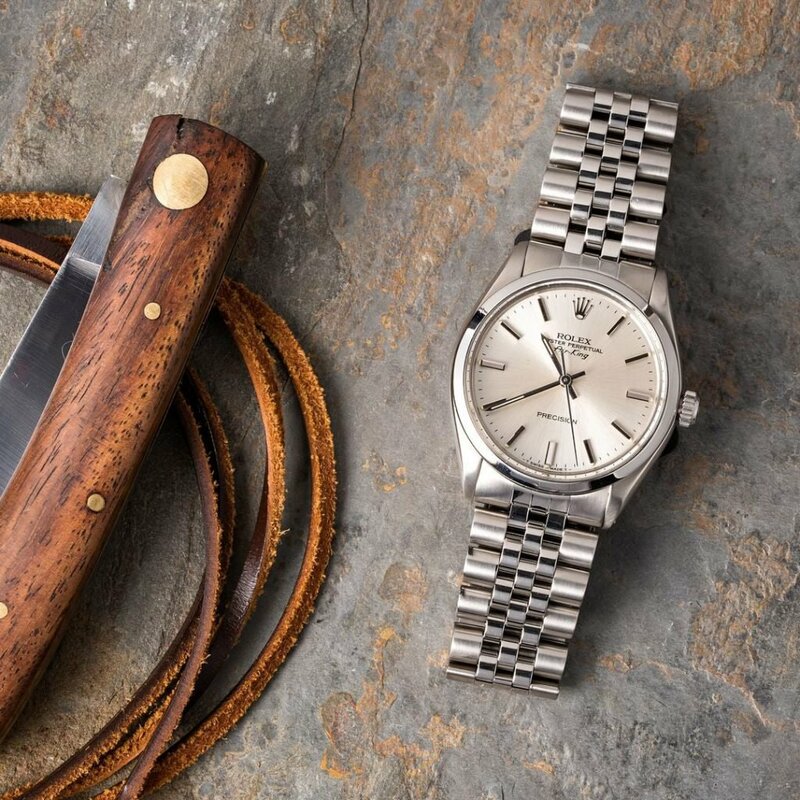 Although the two watches were almost identical on their exteriors, the reference 5513 relied on Rolex’s caliber 1520, which was not COSC-rated. As a result of its more budget-friendly movement, the reference 5513 lacked the additional “Superlative Chronometer Officially Certified” text on its dial. 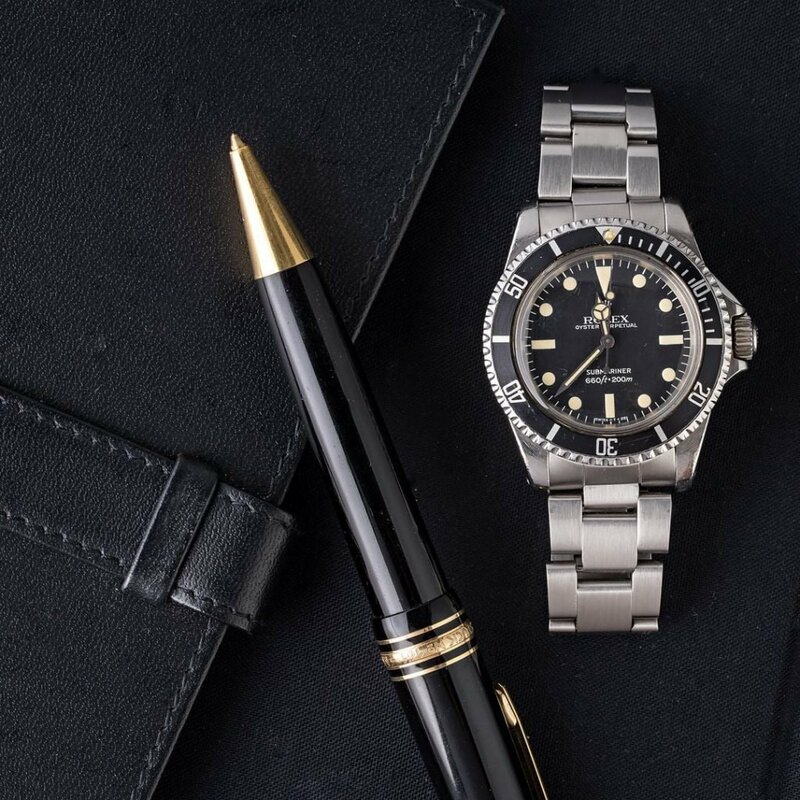 Production of the reference 5513 lasted until 1989, when Rolex finally replaced it with the reference 14060; however even the updated version of the no-date Submariner did not receive a chronometer certified movement. In fact, the no-date Submariner was only available as a non-COSC rated watch from the time that Rolex discontinued the reference 5512, all the way until late 2007, when the reference 14060M was finally given the same chronometer-rated status of its date-displaying sibling. While the “Superlative Chronometer Officially Certified” text on the dial of Rolex watches is intended to be a hallmark of precision and thus viewed as a badge of honor, many collectors prefer the aesthetics of the less text-heavy, “2-line” dial on the no-date Submariner due to its increased negative space and simplified design. Much like the reference 5513 Submariner, the Air-King was originally created to be a reliable, no-frills watch that could occupy an entry-level spot in Rolex’s lineup. The reference 5500 was introduced in 1957, and remained largely unchanged for the entirety of its thirty-seven year production run. Like the reference 5513 Submariner, the reference 5500 Air-King was able to achieve its lower price point by using the same, non-chronometer rated, caliber 1520 movement as the reference 5513 (although some Air-King watches were fitted with the caliber 1530). Consequently, reference 5500 Air-King watches do not have the words, “Superlative Chronometer Officially Certified” printed on them; however some are branded with “Precision” or “Super Precision” instead. The reduced amount of text simplifies the dial and adds negative space; however some early production run, reference 5500 watches have absolutely no text printed on the lower half of their dials. These “pre-precision” dials are some of the most clean and simple dial designs that Rolex has ever put forward, and are emblematic of an earlier and less standardized time in Rolex’s history. Much like the no-date Submariner, the Air-King did not receive a chronometer-certified movement when Rolex released a subsequent generation of Air-King watches. It was not until 2007, with the introduction of the reference 1142xx series, that the Air-King finally became a certified chronometer and had the accompanying, “Superlative Chronometer Officially Certified” text added to its dial. 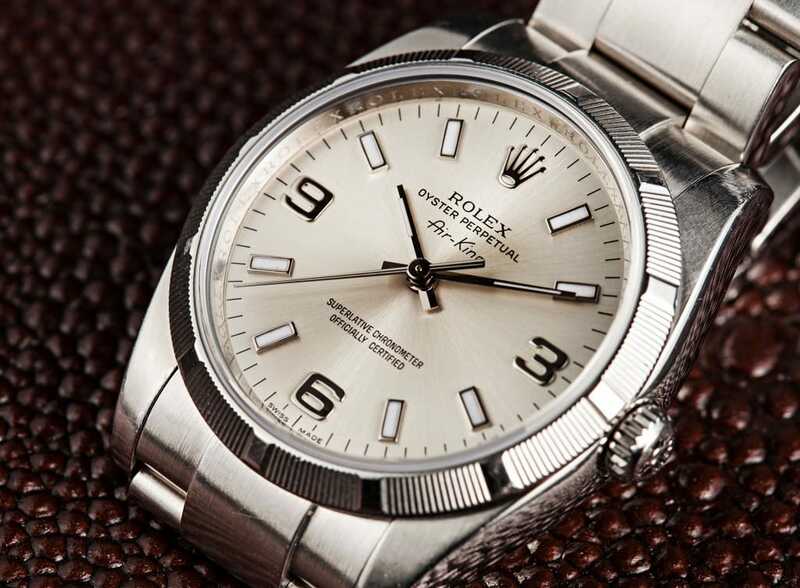 Many of Rolex’s very early watches are not certified chronometers; however a relatively small number of non-chronometer watches managed to remain in production for numerous decades without ever receiving a COSC-rated movement. Although non-chronometer certified watches do not promise quite the same degree of timekeeping as their COSC-rated counterparts, they often possess some of the most clean and simple dials fitted to any Rolex timepieces.